Blog - Page 2 of 41 - McMath Woods P.A. Published on Jan 11, 2019 at 4:06 pm in Employment Law. According to national and state employment laws, it’s an employer’s responsibility to provide a safe work environment for their employees. No one expects to get injured at work; however, accidents happen when employers neglect their responsibilities. In 2016, there were approximately 2.9 million nonfatal workplace injuries and illnesses reported by employees. While many of these conditions were recoverable, some individuals were not so lucky. Regardless of the severity, if you’ve been injured at work you deserve compensation to manage your medical expenses and lost wages, and your employer should be held accountable for their negligence. Published on Dec 26, 2018 at 6:34 pm in Personal Injury. When you need a lawyer, you may be wondering how you’re supposed to find the right one who will give your case the attention it needs. With the right attorney, you’ll know that a professional is fighting for your rights and doing everything possible to get you the compensation you deserve. A Little Rock personal injury lawyer from McMath Woods P.A. can help you with your case and will fight to get you a favorable settlement. We understand how nerve-wracking these situations can be and will be at your side every step of the way. Published on Dec 13, 2018 at 5:10 pm in News. In addition to the being selected as 2018 Super Lawyers Honorees, we are proud to announce our very own Sam Ledbetter and John Coulter have been named on the Super Lawyers Top 50 Lawyers list in Arkansas. Sam has been recognized as a Top Rated Environmental Litigation Attorney in Little Rock, and John has been recognized as a Top Rated Employment & Labor Attorney in Little Rock. Sam was first recognized as a super lawyer in 2006 and has continued to receive the honor every year since 2008. John was selected for the honor from 2009 to 2010 and from 2013 to the present. Published on Dec 5, 2018 at 3:55 pm in Personal Injury. After the initial shock of your accident wears off, it’s likely you’ll find yourself dealing with unexpected and overwhelming medical expenses and a frustrating recovery process. The ordeal can become even harder to manage in the event you need to take time off work. Fortunately, our legal system gives personal injury victims the right to seek compensation for what they’ve been through. Once you file your personal injury claim, you’ll want to do whatever it takes to maximize your potential compensation, because that compensation will be a crucial part of your recovery process. There are a variety of factors that have the potential to influence your settlement or claim amount. This is especially true if you believe you accident resulted from someone else’s negligence. At McMath Woods P.A., our personal injury lawyers are prepared to help your claim succeed. Published on Nov 21, 2018 at 3:19 pm in News. At McMath Woods P.A., we take immense pride in our legal work as well as the aid we are able to provide to our local Little Rock and Arkansas communities. After announcing our team’s 2018 Super Lawyers honorees, we’re also proud to announce that our legal team is comprised of six attorneys that were named among the “Best Lawyers in America”. 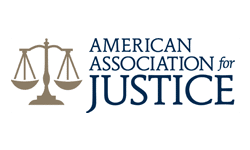 They are part of the 25th edition of the Best Lawyers list, a list of the most proven and recommended lawyers in the United States. Published on Nov 16, 2018 at 4:00 pm in News. At McMath Woods P.A., we strive to provide our clients in Little Rock and the surrounding areas of Arkansas with the best legal representation possible. We are proud to announce multiple team members from McMath Woods P.A. have been recognized as 2018 Super Lawyers Honorees. Published on Nov 14, 2018 at 3:47 pm in car accident. Whether you’re driving home on a Friday after a long week or driving across the country for a family reunion, we’re all guilty of giving less than 100 percent of our focus to the road when we’re behind the wheel. Unfortunately, there are a variety of dangers associated with distracted and fatigued driving. If you’ve been injured in an accident as a result of someone else’s negligence, our Little Rock car accident lawyers are here for you. Thousands of accident occur on Arkansas’ road every year. Many of them are related to instances of distracted driving. To aid in the prevention of accidents related to distractions and fatigue, let’s take a look at some of the things you can do before driving and while driving to stay alert and remain focused.